In the summer time piers of Market Square in Helsinki are full of cruise ships which take you to few hours cruise or for instance to Suomenlinna. You can just enjoy of attractions along the route by paying ticket or at the same time enjoy lunch or dinner, if ship serves those. 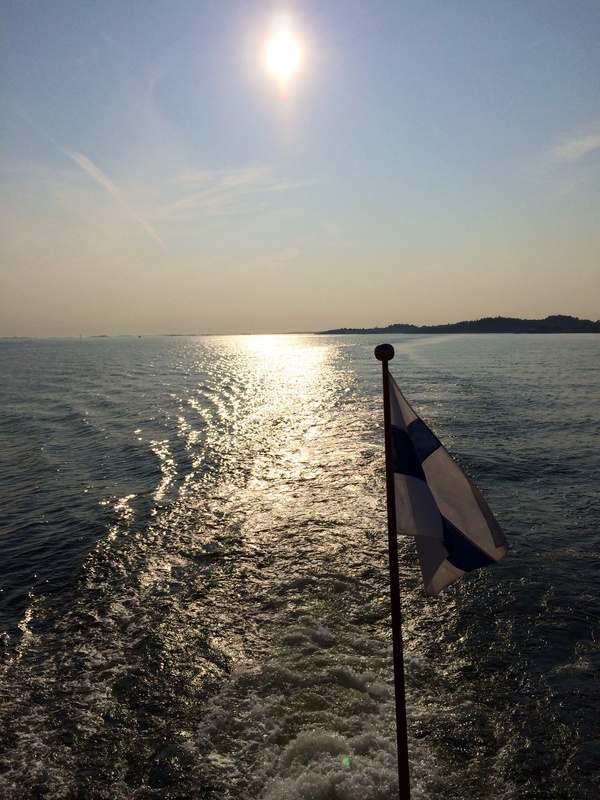 With over 65 years of experience Royal Lines has shown Helsinki from the sea. One can get familiar with the best views like islands, famous historical buildings, harbours, villas and saunas. 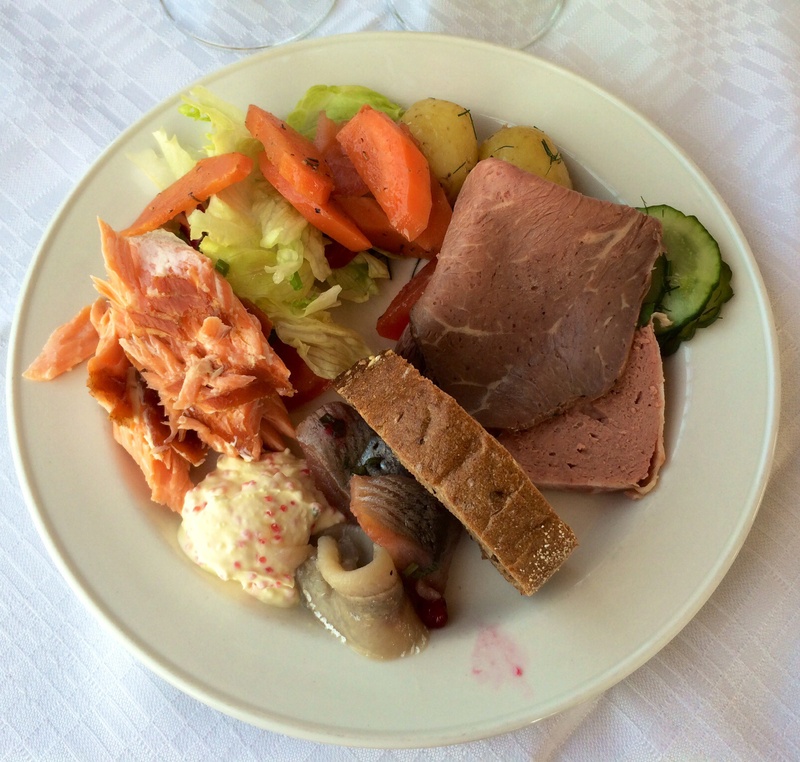 A traditional archipelago buffet is also available as well as short a la carte list which is understandable due to size of the kitchen. 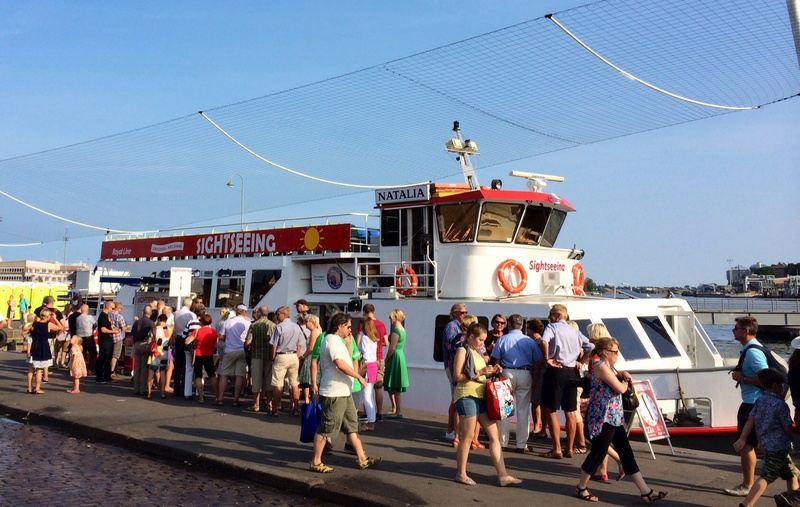 2 1/2 hour dinner cruise is nice way to combine relaxed sightseeing and dinner, if one wants to see Helsinki from the sea and has only one day to spend time in the city. Royal Lines provides two routes, one to the east and one to the west. We chose Smuggler’s Dinner Cruise with m/s Natalia at 6PM to the east. Decided to enjoy 3 course meal which started with Buffet. One option would have been to eat buffet for starter and main course. 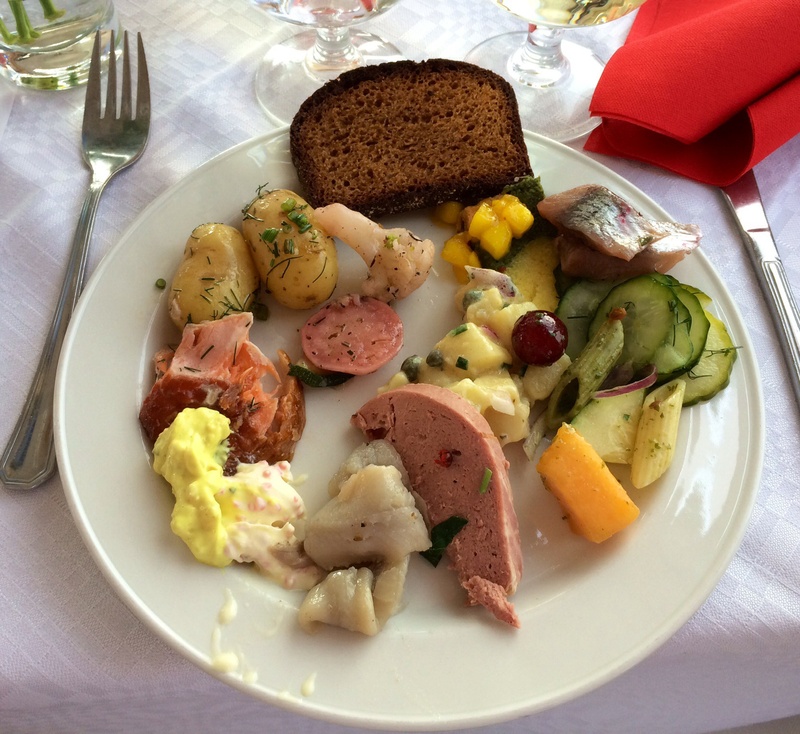 It consisted of various herrings, fishes, salads, vegetables, pate, terrine etc. Herrings are delicious; focus on those. Did not find any vegetable soup although it was mentioned on the list. There are two different main courses to choose from. 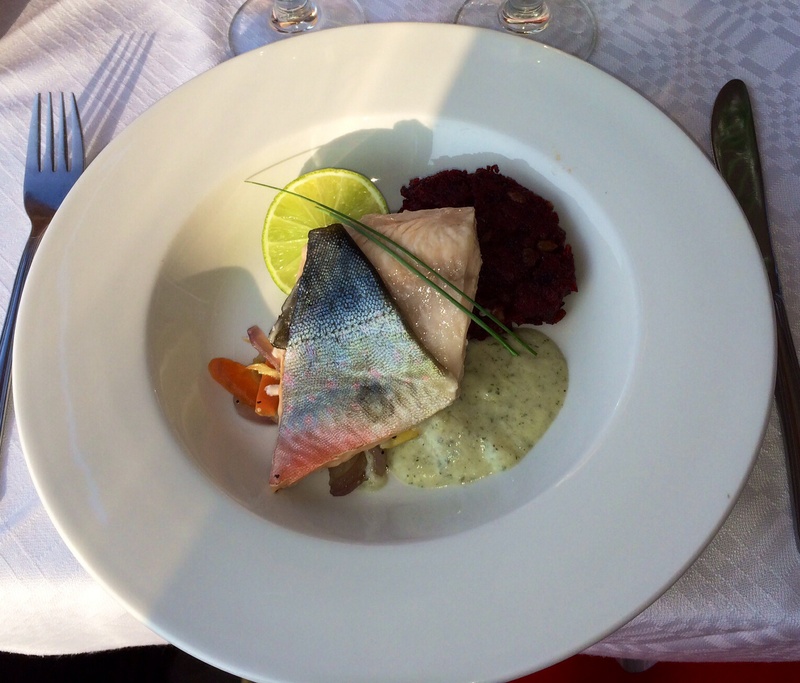 We chose Roasted Arctic char with butter and nettle sauce & a beetroot and buckwheat cake. Fish was a little bit over roasted but otherwise portion was ok as it is prepared in small ship’s kitchen. Menu included for dessert Triple chocolate dream with vanilla & berry compote but we asked to replace it with something else and got Rasberry cake with berry compote. Nice piece of cake was perfect ending for the dinner. Wine list is also short consisting of basic wines. 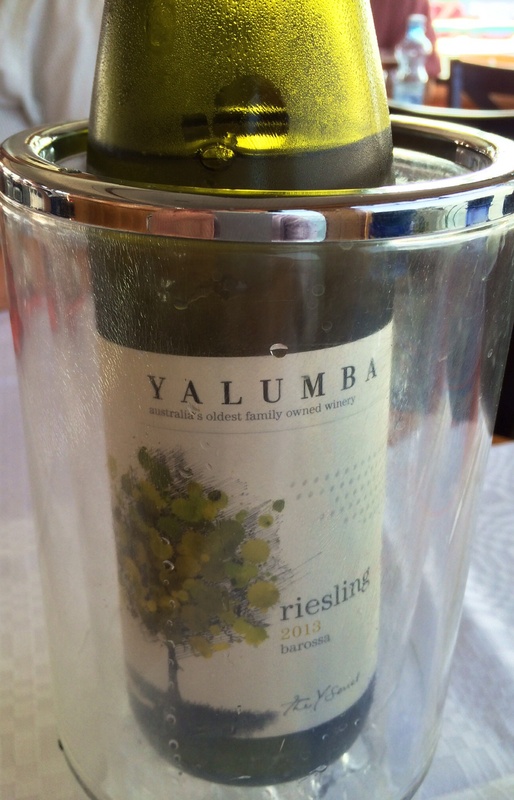 Chose only riesling, Yalumba from Barossa Valley, Australia. Basic, light riesling without distractions. 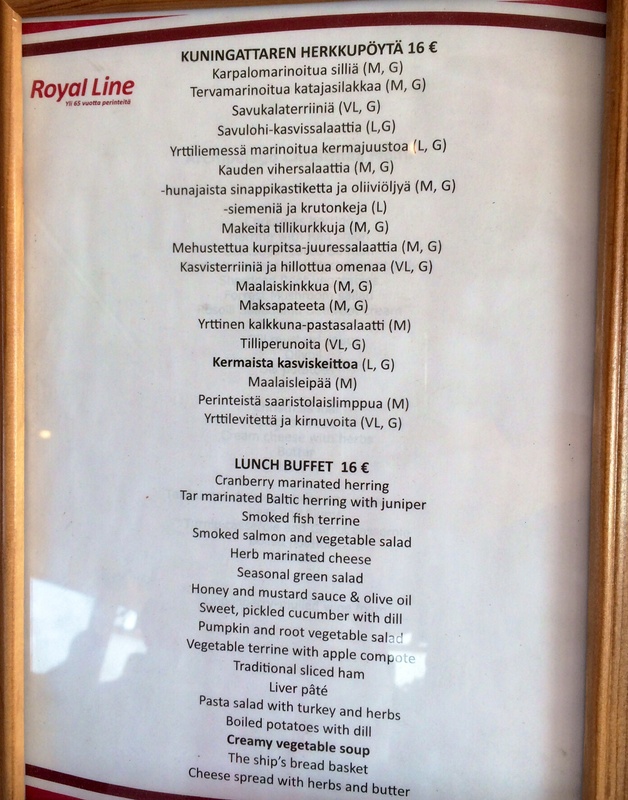 If you want to visit Porvoo you can choose either J.L. Runeberg, old steam boat in the picture below, or more traditional ship which Royal Lines has. Smuggler’s Dinner Cruise sounds exciting but only hints of thriller were some background stories during the cruise. 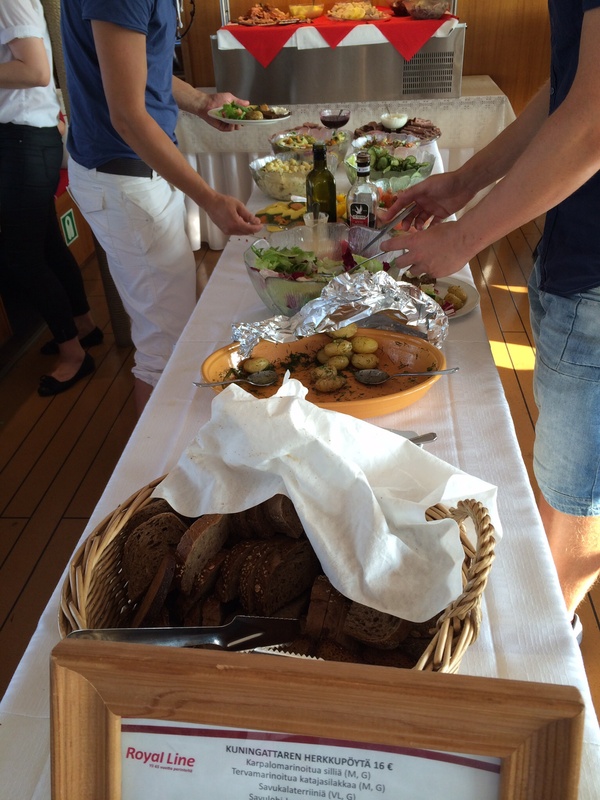 Eating is not the most essential part of time spent on the ship. In good weather most of the time is spent on upper deck by watching surrounding archipelago and by-passing boats. 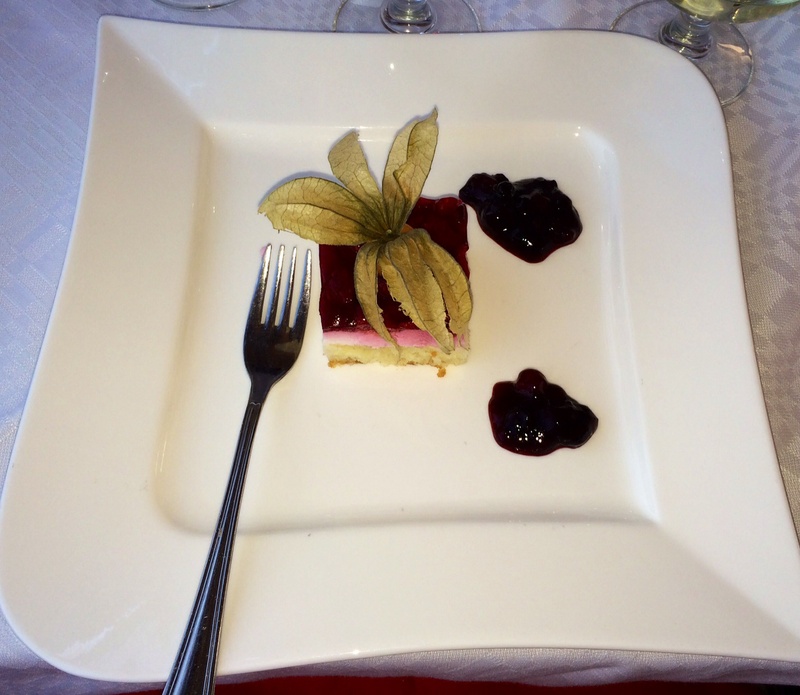 Lunch cruise review from year 2012 can be found be using search and writing just cruise.